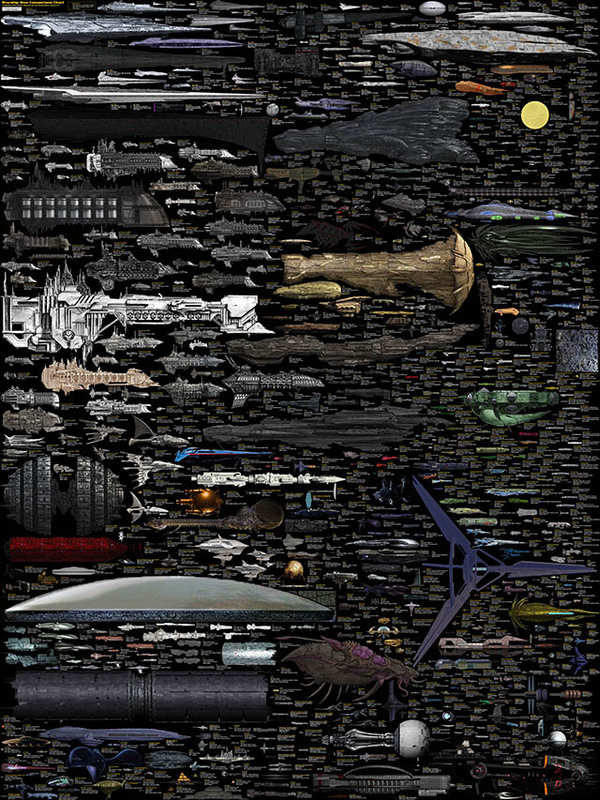 An artist named Dirk Loechel has gone to the trouble of creating a massive chart showing dozens of spaceships from print, television, and motion picture science fiction, all pictured at the same scale. In a box at the top, barely visible because it's relatively so small, is the real world's International Space Station, which is merely the size of a football field. The Smithsonian's description of Loechel's work of art can be read here, and you can view or download a larger version (together with notes on past revisions to the chart) here. Clicking on the image below will take you directly to a larger version that will allow you to scroll around.